Oktoberfest has arrived at the Newcastle Quayside with the Broad Chare's annual week long celebration of the world's biggest beer festival. So you don't need to worry if, yet again, you haven't managed to plan a trip to Germany, the party is coming to you! 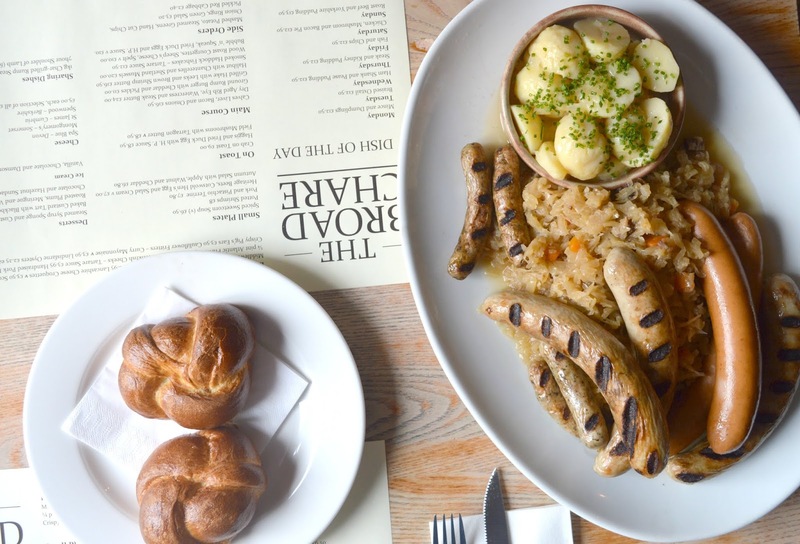 I've been wanting to experience Oktoberfest at The Broad Chare for a long time but every year I'm too slow and the week passes by before I realise that, yet again, I have missed out on the opportunity to eat plates full of sausages. So this year I made myself a note, cleared the diary and booked a table as soon as the dates were announced. To say I was excited would be an understatement! If you didn't already know (and I'm sure you all do!) 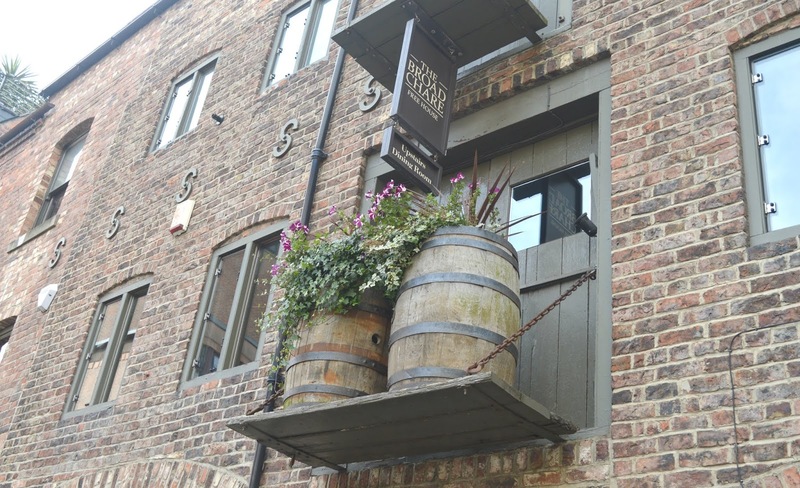 the Broad Chare is the best pub on the Newcastle Quayside. A cosy haven away from the stags and hens - where the beer is great, the Sunday lunches are legendary and you walk through the door to a proper Geordie welcome. It's the kind of place where you arrive, take a seat and then forget to leave! Oktoberfest is at the Broad Chare between 29 September and 6 October. 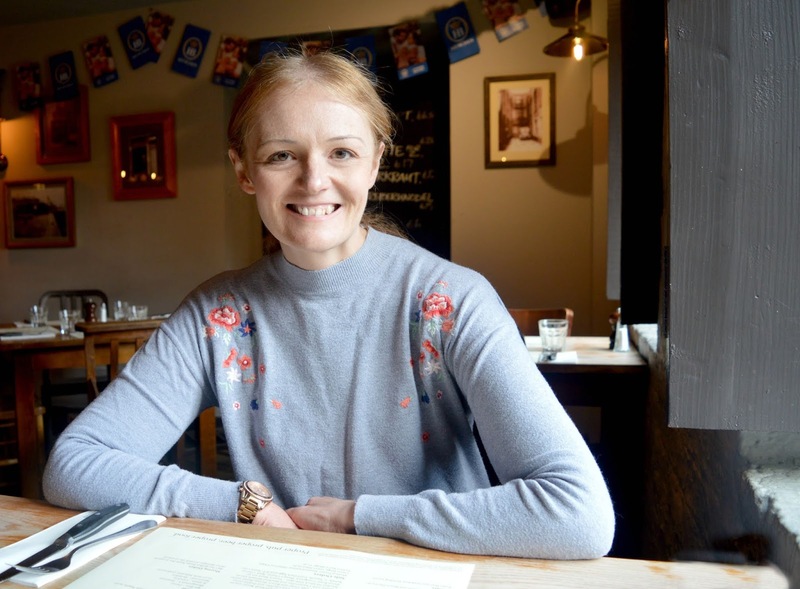 A week long Bavarian celebration where you'll get to enjoy a special menu that you can either enjoy in the comfort of the upstairs restaurant or, if you prefer a proper pub experience, as bar snacks. 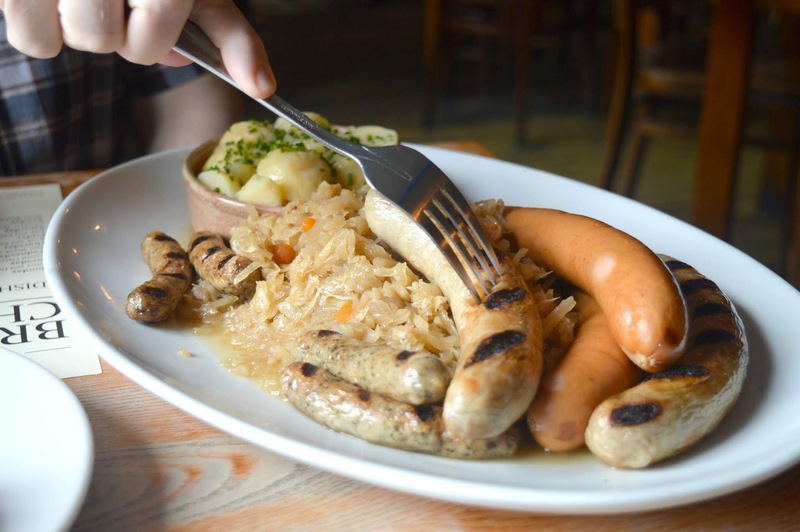 There are wurstplatte a plenty and steins of beer with your name on it. Simon and I popped to the Quayside yesterday lunchtime and after somehow managing to resist all of the amazing Sunday Market food along the River Tyne, turned up at the Broad Chare with grumbling tummies that were more than ready for Oktoberfest. Taking our seats in the upstairs restaurant we spent a little bit of time studying the menu (I'm not sure why I had to read it again when I've been reading nothing else for the last two weeks!). There are three starter options but wanting to make sure we had room for dessert we decided to head straight for the main course. 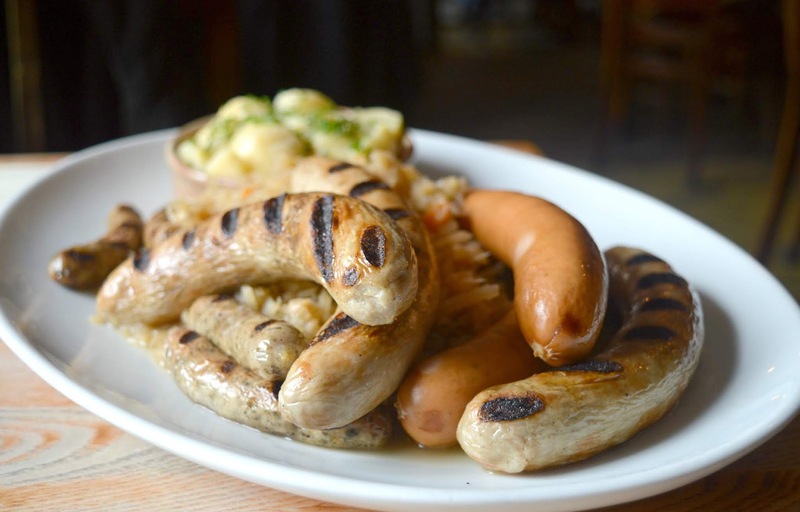 We ordered the Bavarian Wurstplatte for Two - Mixed Sausage Plate with Sauerkraut and Potato Salad (£26.00). I'm not sure why I ever think it's a good job to share a dish with my husband (honestly, you have to eat so fast to keep up with him and ensure he doesn't swipe your share of the food!) but it sounded like a fun way to enjoy the celebrations so after making him promise he wouldn't eat my food we went for it. When the huge platter of sausages was put in front of us we were stunned into silence - our entire table was covered in food. So much sausage, how were we ever going to get through it all? There were several different sausages to try, each one really delicious. Simon particularly loved the "hot dog sausages" (definitely not their official name!) and I was particularly taken with the larger more chargrilled offering which had such a lovely smoky taste. The giant mountain of Sauerkraut was so generous that we couldn't even make a dent in it and we only just managed to polish off the potatoes! The bread rolls were really lovely although I was a little disappointed that they didn't come with some butter, maybe that's not the way they are traditionally served but I do love a nice generous spread of butter on my bread if I'm eating out - it's like a special treat that I'm not usually allowed at home. Slightly out of shot is my G&T glass! I know, I know, you're probably all thinking exactly the same as our waiter, "you can't have a gin with this man!" - I'd love to be able to tell you all about the Oktoberfest beer on offer (there are two to choose from in either pints or steins) but the truth is I'm not really a beer fan and as Simon was recovering from man flu he decided it wouldn't be a great idea for him to start chugging on steins of beer either. Silly confession time, the main reason why I've been wanting to go to Oktoberfest at the Broad Chare is because every year they serve up Black Forest Gateau which is my favourite dessert of all time. It's almost impossible to find so when it appears on a menu it is such a treat. 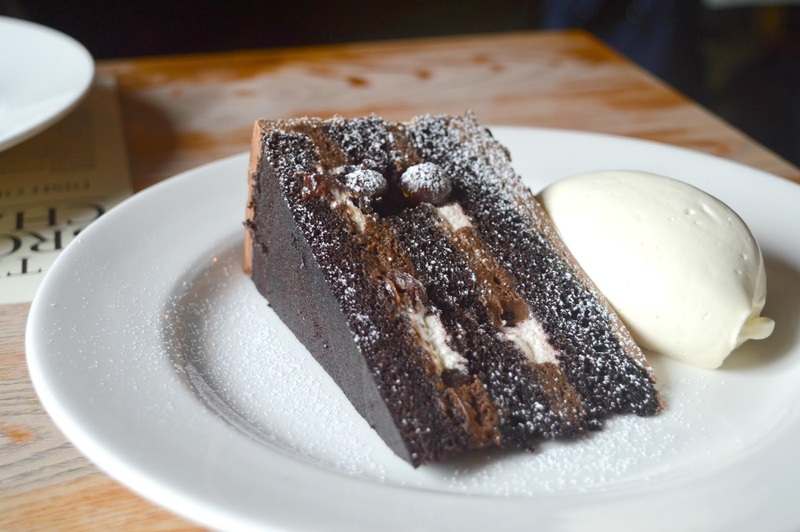 The Schwarzwalder Kirschtorte (£6.00) at the Broad Chare is the cake of my dreams. Made with the most indulgent chocolate with plenty of hidden cherries and a very generous dollop of proper cream. I will admit it didn't look as impressive as photographs I've seen of the dessert from previous years, the chards of chocolate and cherries on top were noticeably absent but it was still delicious so no complaints from me. Simon decided to order the other dessert on the menu, the Apfelstrudle (£6.00) which I was very happy about as it meant I got to try both dishes on the menu. I couldn't help but sing "Favourite Things" from the Sound of Music as it appeared in front of him ("cream coloured ponies and crisp apple strudels"), he refused to join in, completely distracted by his delicious looking dessert. If we're going to start handing out awards for puddings (move over Paul Hollywood!) then this one surely has to take top prize. 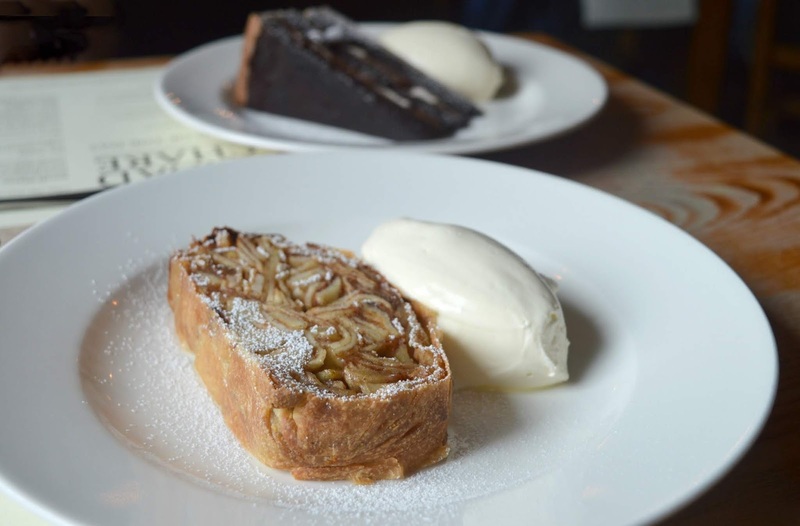 The perfect flakey pastry around the cinnamon and apples was so good, the perfect Autumnal dish. 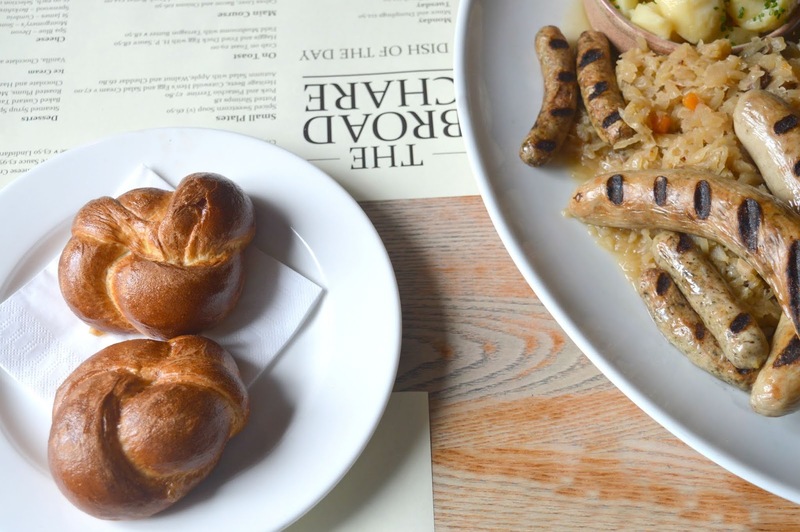 We loved our first ever Oktoberfest at The Broad Chare and if you're looking for the perfect way to kick start your Autumn then you need to book a table! If you hadn’t posted this I would have missed my annual booking! This will be our third consecutive year doing this menu. We look forward to it each October! That Black Forest gateaux is everything. It does look like they’ve changed it to the previous two years actually looking at your photo. I’m sure it’s still delicious. We haven’t got a sitter so might have to take the kids which I hope is ok as it’s not a very ‘kid’ restaurant. The sausage platter is huge though so will feed us all! Yay, I'm glad I've saved the day! This is the first time we've actually pulled our finger out and got ourselves booked in, we're usually far too slow and miss out. I'd say take the kids! When we went on Sunday there were some big family bookings in for Sunday lunch with plenty of children! I don't like beer at all, but the food looks so good! I've tried to like beer so many times but yeah I struggle with it too! I can’t believe I didn’t know this ever happened! I’ve been obsessed with Germany since a school trip years ago and went back this year, I’ve been dreaming of their sausages and pretzels ever since. Need to get myself over there before it ends! 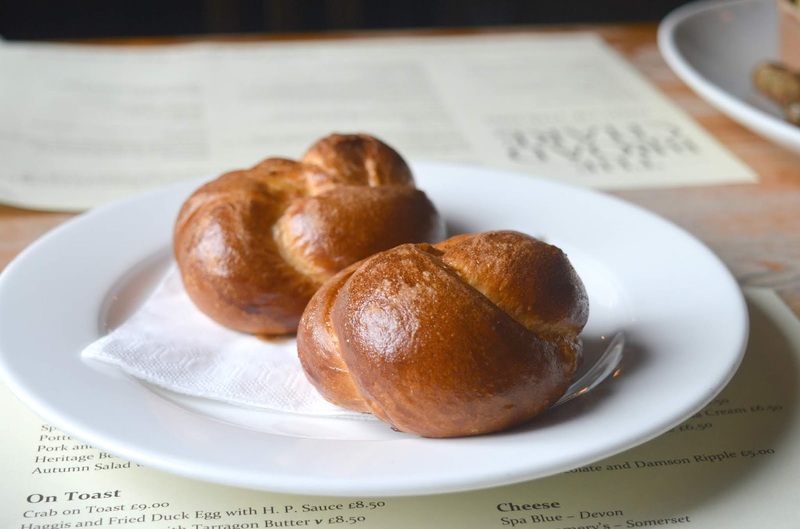 ... not featured on the blog, they actually have pretzels on the starters menu - you need to go! Texting my sister right now to get something booked ASAP! I would never forgive myself if I missed out! Fantastic!!! Make sure you report back! It is really cosy, the bar downstairs is even better because it's really small and snug! Beautiful photos but i'm not sure i would fancy it! need to open my mind a bit more and embrace the sausage! How can you not like a sausage?!! Yes, you should definitely try the Sunday lunch, it is so good! Very popular though so make sure you book a table!